October 8, 2018 Dan O. A spaceship crashes in outer-space, leaving all sorts of particles and awful debris somewhere in the suburbs of America. One such person who notices said debris is Quinn (Boyd Hollbrook), an Army Ranger sniper who saw his fellow men get wiped-out by whatever strange beast is now on Earth. But the United States government aren’t happy that someone like Quinn found out and are now doing their best to get rid of the threat of him exposing it, by having his brain permanently washed. Meanwhile, an evolutionary biologist, Dr. Casey Bracket (Olivia Munn) comes in to evaluate what the hell this all is and whether or not it’s a real threat to the world we live in. And it turns out that yep, it is quite the threat that we should be worried about. There’s the women! Always saving the day! The Predator is an odd hybrid of a lot of things, mostly because it seems like it has way too much going on and never really any reason why so much is happening, either. It’s a big blockbuster, chock-filled with violence, blood, guns, cursing, laughing, killing, smoking, drinking, predators, predator-dogs, and oh, how can I forget, jokes. Lots and lots of jokes, actually. In fact, there’s so many jokes in the Predator, you begin to wonder whether this movie’s ever really trying to get on with its story, and just wants to sit around and yuck it up for another 15 or so minutes. Then again, it is a Shane Black movie and by now, you know what you’re going to get. And that is honestly fine; his writing-style has always been that same kind of mix of dark and silly humor, tossed around some pretty graphic violence, all mostly ending with a witty punchline or two. So far, Black has been incredibly successful with this formula and it’s helped him become one of the better action-comedy writers of all-time, even if we always seem to know what we’re going to get. But for some odd reason, the Predator just doesn’t work as well as his other flicks do. The comedy, this time around, feels oddly forced and as if Black felt like he had to make a bunch of jokes, as opposed to just feeling them and giving us something fun, hilarious, memorable, and actually pertinent to the story. Having at least 20 minutes dedicated to watching a bunch of male-characters stand around an unconscious Olivia Munn, talking about what they should do and what she’s going to do next, doesn’t quite work because it’s not funny, but it also takes away from the movie. These small bits and skits get tiring after about the fourth or fifth time and it makes you wonder whether Black needed some more time on them, or didn’t even need to include them in the first place. Cause most of the Predator is fine and fun, but it’s also stacked with so much going on for not much of a reason. There’s at least three subplots, none of which are fully interesting; the action looks shoddy and rushed (which is basically what happened, apparently); and the characters are simply too cartoonish to really take any of them seriously in the slightest. A movie like the Meg, flaws and all, at least took itself seriously enough to where, no matter how silly or crazy it got, there was still some sense of getting drawn in because the people behind the movie actually genuinely seemed to care. Black doesn’t really seem to care with the Predator, but he’s still having fun, I guess? Once again, it’s an odd movie for sure. Still, as a Predator movie, it’s fine. 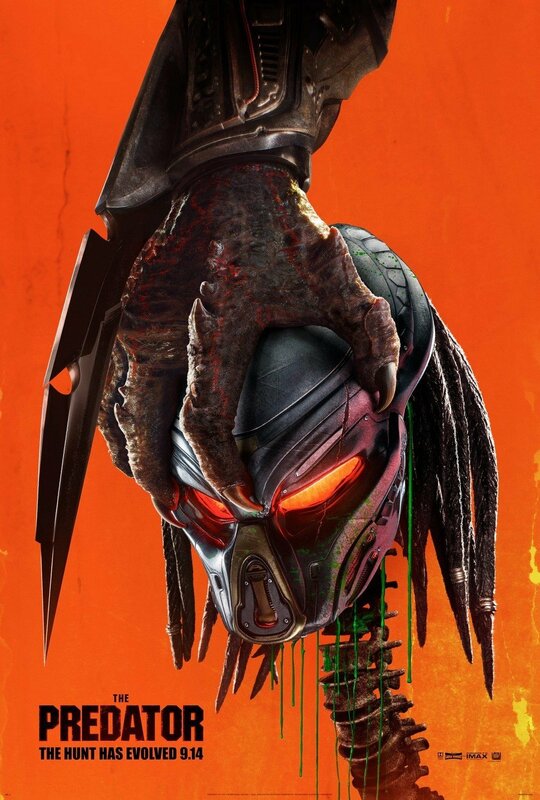 It can occasionally be funny, the ensemble is clearly game (with Sterling K. Brown fitting perfectly as the over-the-top and maniacally cackling villain), and the Predator stuff itself is all pretty cool to watch. But it’s a Shane Black movie that should have been better, but at the same time, also shouldn’t have tried so desperately to please and be funny. It just should have been those two things. Consensus: Even with Black’s signature-style on full-display in the Predator, there’s so much going on, without enough rhythm and rhyme, it never fully comes together as his past movies did. Or for that matter, other Predator movies. It was fun but there were so many things that just didn’t make sense. That’s what bothered me the most. Based on reading your review, it sounds like editing was the biggest problem here.